While Secret Cinema has been getting lots of publicity, it is only now that there is recognition for Experience Cinema, which hosted 280 sold-out Rooftop Film Club events in London this summer, as well as 70 drive-in screenings and now also the Underground Film Club under the railway arches of Waterloo Station in London. Their company, Experience Cinema, has catered to more than 60,000 film-lovers in the capital this year, and now they are looking wider, to the rest of the UK and America. “Cinema experiences have become a popular night out,” says Cottle, who used to be a circus juggler and clown, before moving into public relations a decade ago and launching his own business. And here is how the venture inspired one person, who took the concept back to Calgary in Canada. Fresh off its IPO, ticketing software major Vista is rightly proud of having completed its roll-out with Regal Cinemas in the USA. The company said Regal Entertainment’s 574 theatres across 42 US states represent 20 percent of the North American market. Vista and Regal reached agreement on installing Vista’s software in February 2012. Germany – Cinestar has implemented paperless smartphone tickets for all of its venues. The Cinestar Group has completed the roll-out of the paperless cinema tickets. Immediately tickets online group can be bought over the Cinestar site or app and saved on your smartphone or tablet for every 57 Germany-wide locations. The booking code is transferred directly in the form of a bar code on the terminal, it needs to be scanned on site at the movies only at the inlet. Online Tickets must therefore not be printed at home and exchanged in the cinema against regular SPIO tickets now. 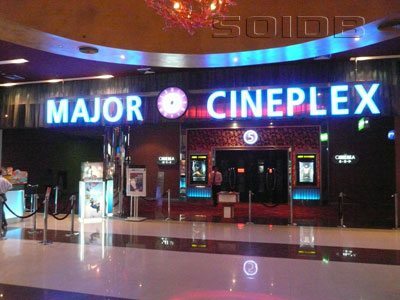 Thailand – Major Cineplex is on a major expansion drive. Major Cineplex Group Plc, the country’s largest cinema operator, projects its revenue will reach 15 billion baht in 2020 when it expects to operate 1,000 screens in Thailand and abroad. Company chairman Vicha Poolvaraluck said the SET-listed cinema chain set a 5.2-billion-baht investment budget to add 500 new screens, bringing the total to 1,000 by 2020. NATO has confirmed that next year’s CinemaCon will be held in the last week of April. We will of course be there too. The National Association of Theatre Owners has set its annual CinemaCon convention for Caesars Palace in Las Vegas on April 20-23, 2015. It’s the fifth consecutive year that NATO has held CinemaCon — formerly ShoWest — at the venue. Transformers: Age of Extinction was a clear favourite. It is taking the top spot on the box office lists for 2014 across four countries. 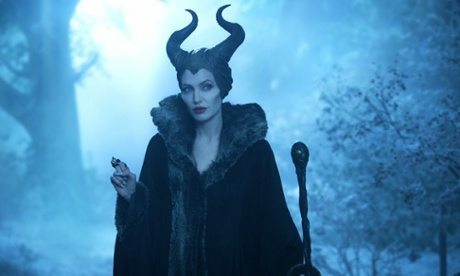 It is the highest grossing film of the year in Russia, China, Colombia and South Africa, and in fact, the film makes an appearance in the top 20 of all the countries analysed. 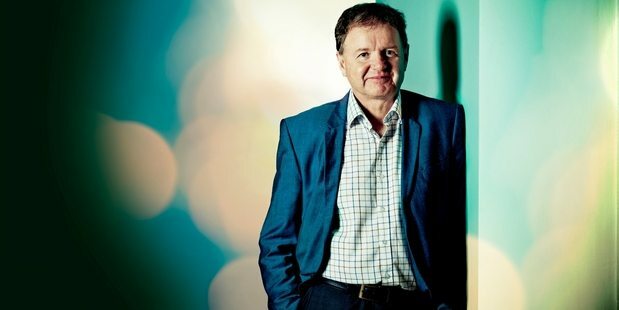 UK – A follow up by Consultancy’s Christopher Ratcliff to his excellent earlier rant about the poor user interfaces by Odeon, Vue and Cineworld. 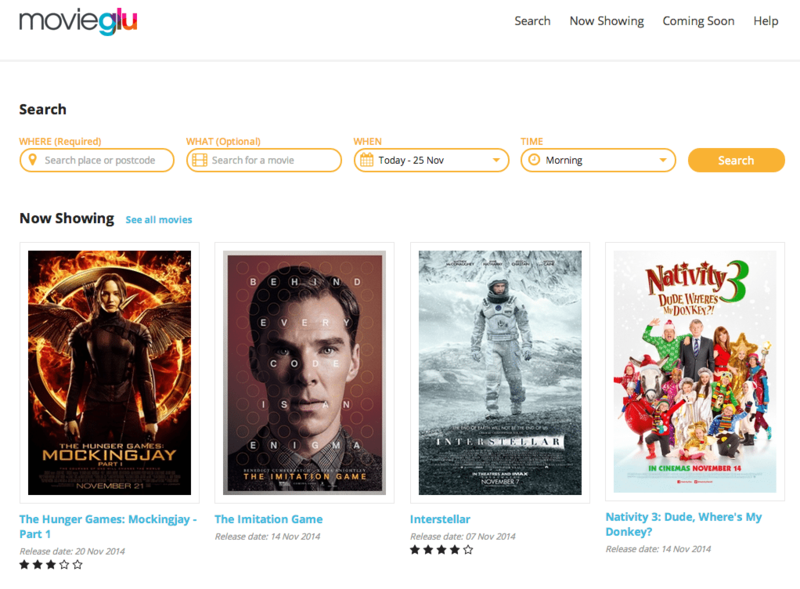 In this post he talks up MovieGlu. I’m going to set out my prejudiced little stall immediately: I hate booking cinema tickets online. In terms of annoying outdated UX, booking tickets for all the major cinema chains is up there with pagination, full-page takeover ads and reading our old non-responsive site on a mobile. 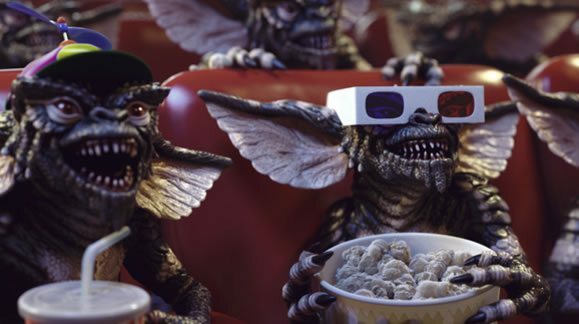 UK – A long article/rant in DenOfGeeks “The things cinema staff hate about cinema audiences.” Too many juicy bits here to relegate it to the ‘Finally’ section. Some of it has to be read to be believed. The biggest peeve relates to having to clean up everything from spilt popcorn to bodily fluids (yes, really). G has some simple rules if you want to take a child to the cinema. They seem logical to us. “1. Only buy them popcorn if they have developed enough muscle control not to spontaneously throw it all over the floor/chairs/carpet/customers. 2. If you’re accompanying them to a kid’s film don’t sit in the cinema playing Candy Crush on your phone (I’ve caught parents doing this at least ten times in the past two or three months). Japan – This sounds perfect for that “Frozen” sing-along re-release. United Cinemas Co. has said it will open a 4DX theater in Tokyo’s Toyosu area Dec. 19, which features equipment that can create in-theater “snow” and storm conditions as the movie is shown. While so-called 4D theaters that create rain, fog, wind, and mist conditions have existed for some time, the theater in Toyosu will be the first in the world to offer snow and storms, according to the company. 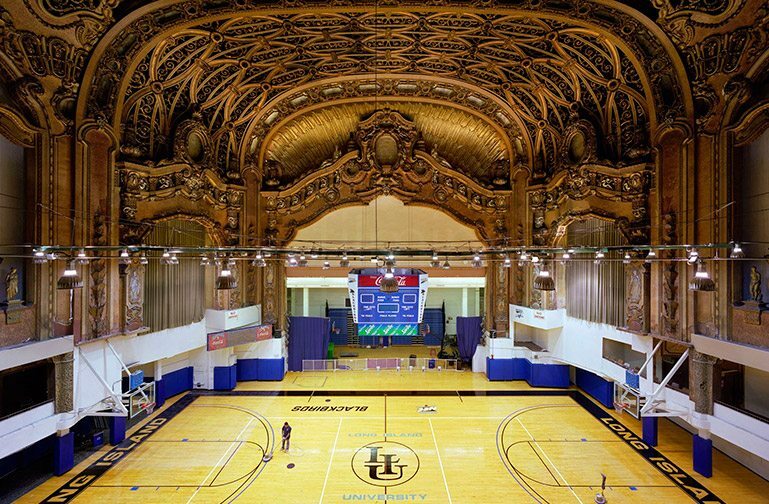 USA/Europe – The Conversation suggests that event cinema could be the saviour of the movie theatre and points to the extraordinary success of the screenings from the Vatican as one example, then looking at 4K for sports and also theatre. Of the approximately 500 theaters showcasing the event, Italy led with more than 120, closely followed by the Unites States, where more than 100 opted in. Latin America followed with 29. 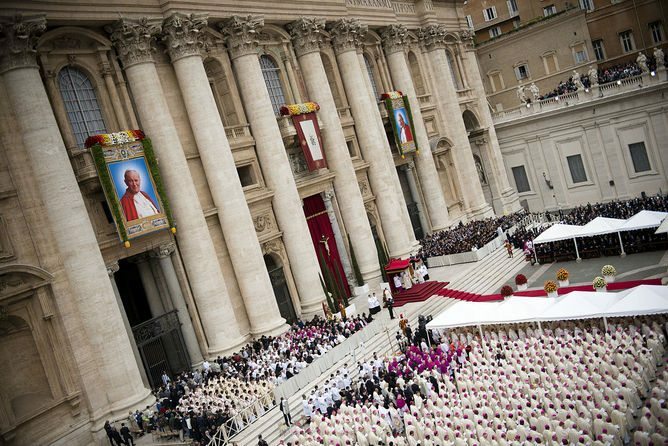 The canonization was shown exclusively in 3D in Colombia, Germany, Ireland, Croatia and the UK. Half of the theaters in Italy offered 3D showings, while none of the American did. There was no admission charge and attendance exceeded owners’ expectations in the United States. UK – More research from DCM proving the superiority of cinema ads over television ads. I guess it is a message that can’t be repeated often enough. Cinema goers are twice as likely to recall ads they see in the cinema than those they see on TV, according to research from Digital Cinema Media (DCM) and Hall & Partners. The study of 1,200 people compared the effectiveness of ads in the cinema to those on TV. It found that viewers were twice as likely to recall an ad on the big screen than at home on TV. However, ITV was there to rain on DCM’s parade. His balloon was deflated by Lindsey Clay, chief executive of Thinkbox, the marketing body for commercial TV in the UK, who said the findings “need some perspective”. Cinema audiences have been growing over the past five or six years, with the proportion of the UK population going at least once a year up from 64% in 2008 to 75% today. But, Clay noted, TV reaches 93% of the population in a week. Germany – German cinema ad company Weischer Media has certified Sony’s TMS for its Cinema.Reloaded scheme. Theatre Management System software – STM-100 V1.6 – by Sony Digital Cinema has been certified by Weischer.Media as ‘CINEMA.RELOADED® ready’, meaning that STM-100 V1.6 is compatible with Weischer.Media’s sophisticated and highly-automated digital cinema advertising solution, CINEMA.RELOADED®, when interfaced with the required ONEDCN® pre-show system. 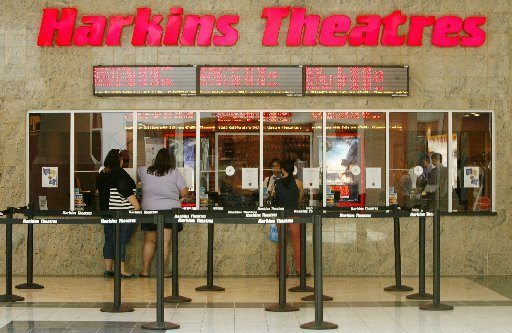 USA (CA) – Harkins is expanding in the Greater Los Angeles area. Harkins Theatres just announced that it plans to build a new theater to be a part of the new Mountain Grove at Citrus Plaza in Redlands. The new theater will be called Mountain Grove 16. 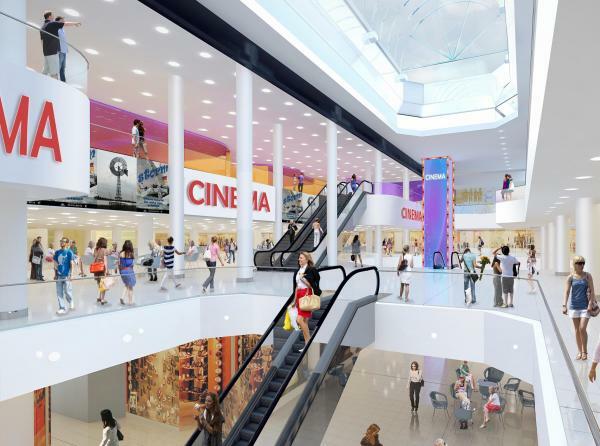 UK – Basildon is getting a 15-screen multiplex. THE £30million redevelopment of Basildon town centre has been put on ice as plans for a new cinema in the Eastgate Centre are revealed. This is the first look at the 15-screen cinema which is set to open on the second floor of the shopping centre, above the food court, in 2017. Germany – This UCI cinema in Duisburg is staying open while renovation work is carried out overnight. Impressive. The UCI cinema in Duisburg gets a new sprinkler system. The construction work will be carried out at night, so that daily operations will not be affected. The interior is retreaded: A new carpet, fresh paint and new counter tops in the knacks and the tickets are planned. 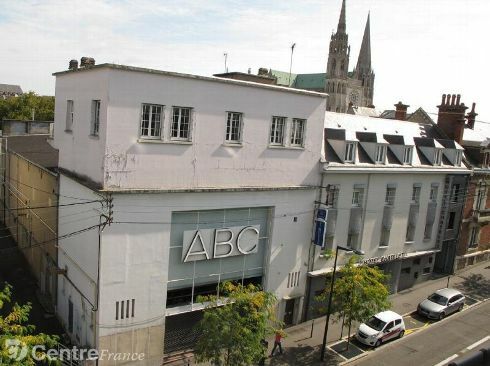 France – Two million euro will be sent renovating this cinema in Chatres. Scenic places will be built by the city, in the old ABC cinema. Two million euros will be invested, scheduled to open in 2016. Inside the ABC much of theater seats are still there. In 2016, the structure must regain life. The four auditoriums will have scene stage and equipment, allowing artists to rehearse and present their creations. 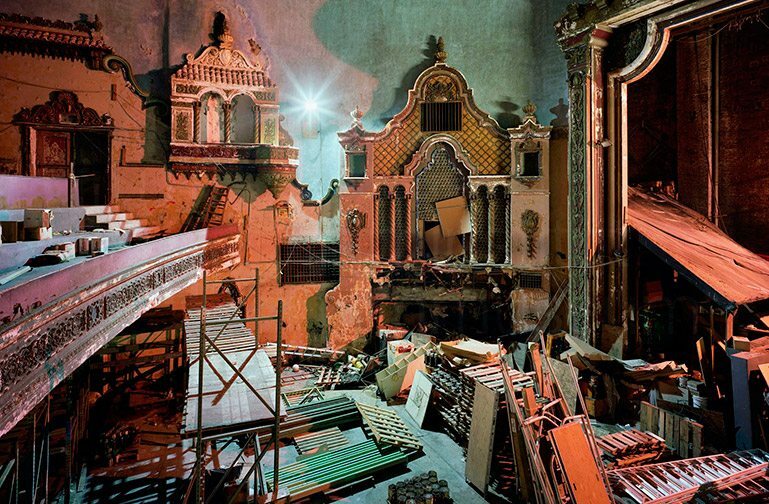 The German Film Museum in Frankfurt am Main is having a temporary photography exhibition of defunct cinemas that looks fascinating. In the movie, people leave for nearly 120 years, their desires run wild. This magical place is at the center of the exhibition MOVIE THEATER. Cinema photographs of Yves Marchand and Romain Meffre (November 26, 2014 to May 31, 2015) at the German Film Museum in Frankfurt.